Each fall, mule deer classification helps determine the herd's health. We recently completed our deer classification in the Southeast Region. Deer classification involves comparing buck and fawn numbers to the number of does. We are specifically looking at the number of bucks per 100 does and the number of fawns per 100 does. Deer classifications are conducted from Nov. 15 through Jan. 15 — although most deer are classified before Christmas. The reason we classify deer during this time is because bucks are rutting and more visible. Also, deer are congregated, which helps us acquire an adequate sample size for each unit. Another advantage of classifying deer in the late fall is being able to see what condition they are in as they go into the winter. Biologists aim to classify a minimum of 400 does on each unit. They sample the major winter ranges and drainages across each unit to obtain a representative sample for the unit as a whole. Classifications are done at dusk and dawn, when deer are active and easily seen. Often times, a biologist will only see a portion of the deer in a group. When this occurs, we discard the classification data. We are more interested in accurate classifications than huge sample sizes. Finally, the same biologist collects and analyzes classification data in the same areas, year after year, to minimize observer bias. Deer classifications assist biologists in making hunting recommendations. In Utah, our deer units are broken up into three categories: general-season, limited-entry, and premium limited-entry hunts. Our general-season units are focused on providing opportunity, and we manage for 15–25 bucks per 100 does after the hunt. Limited-entry units provide increased quality, and the buck-to-doe ratios on these units are 25–35 bucks per 100 does. Premium limited-entry units are established to provide exceptional quality, and are managed at 40–50 bucks per 100 does. 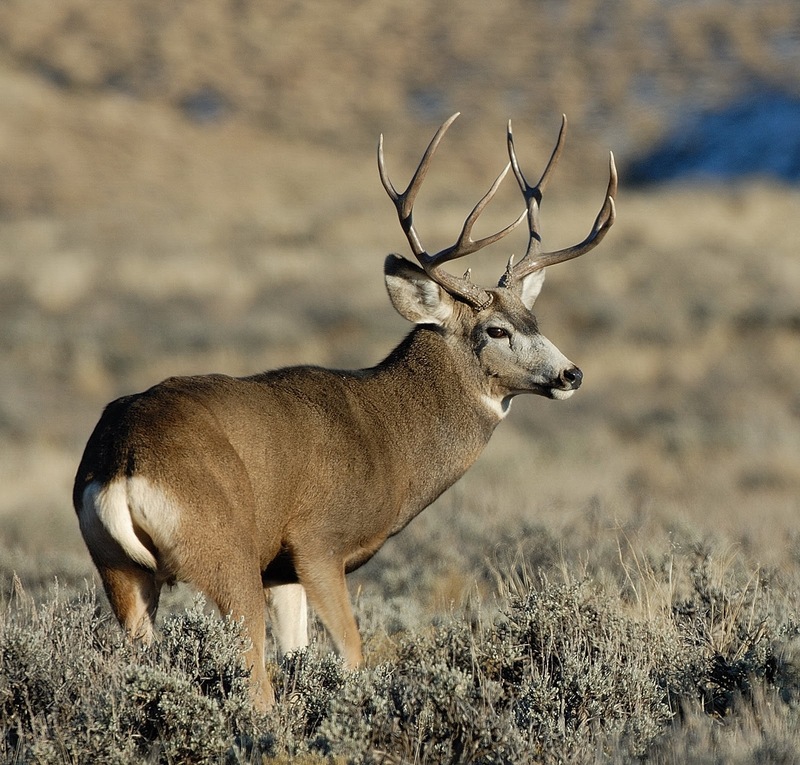 Classifying mule deer allows biologists to know if the buck-to-doe ratios are within the management-plan objectives for each unit. In southeastern Utah, we found that most of the general-season units had about 15 to 16 bucks per 100 does. Buck-to-doe ratios on our limited-entry units were in the mid 30s to low 40s. The buck-to-doe ratio on our premium limited-entry unit was in the high 40s. Fawn-to-doe ratios were similar to last year’s data. Overall, most of our deer looked robust and healthy going into winter, due to last year’s wet spring and good summer weather. 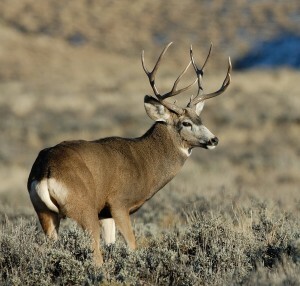 To learn more about mule deer in Utah, see the resources on our mule deer Web page. Very good explanation on how the deer counts are done. I rode with Brad and Wade on their counts. What we counted was right in line with previous counts. Too bad most of the public won’t read this blog. They would perfer to call foul instead. Us civilian do read these sampling systems and it seems like Utah is doing a good attempt at sampling to estimate buck/doe ratio. Here in Nevada we do not have clue as to our true populations hence we manage the buck slot and cull at 15 bucks/does and that is subject to serious experimental errors.